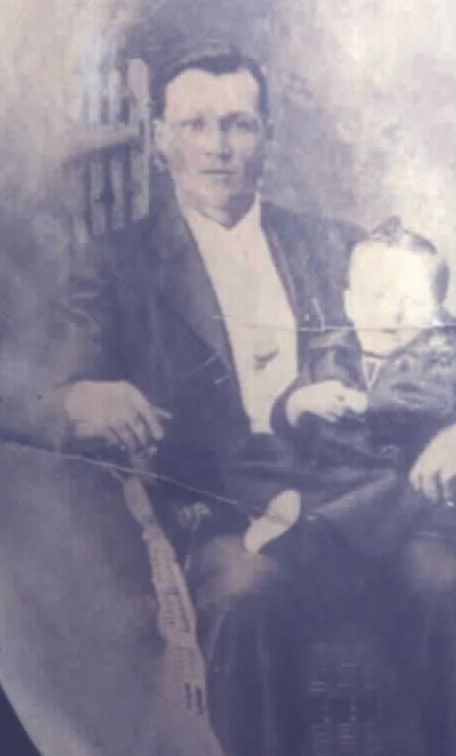 Fred L. Mooers son of Levi & Henrietta Mooers(nee Thornton) holding his first child Lee Mooers, Temperance Vale, New Brunswick, Canada. And Yet I Can Hear the family singing...: All in Unison.."Pass Me Not, O Gentle Saviour"
Deceased:  Mother's Day May 9th, 1976. (1889-1976) of East Waterville, N.B. 1.Lee H. (1913-1978) , bachelor, worked in the woods and at the sawmill hauling sawdust from the mill. When the St. John River was raised, he worked at moving graves. After his father died, he also served as constable at election time. Deceased:January 15th, 1972~(Interment, of Evelyn Katheline    Marney (nee Mooers) is in the  Temperance Vale United Baptist Cemetery). Married Glenn Royce Marney at Woodstock, carleton county, New Brunswick on the 2nd day of September 1942 , Rev. F.A. Anderson, Woodstock, N.B. Officiating. Witnesses: were Lee H. Mooers, Temperance Vale & Norman MacFarlane, Temperance Vale. Miscarriage..( 5 mos)...burried on old homestead. Gone Home:  September 2nd, 2002 at St. John Regional Hospital, St. John, N.B. Age 57, Interment:  Temperance Vale United Baptist Cemetery, Temperance Vale, New Brunswick, Canada. Roy married donna Fox. Roy had 2 children:  Tammy Marney and Trevor Marney. resting place, Temperance Vale, N.B. at the feet of the grave of Fred & Ada Mooers . c. Donna Marie Marney born January 4th, 1948 5 minutes to 12 NOON. I have 4 children:  CRYSTAL LYNN NOBLE (her children Larissa,   Haley Sophia). ANGELA EVELYN NOBLE (her children Isabella Faith Saunders, and current twin girls to be born in August 2008. VICTORIA "Vicki" Noble married Graeme Sweet, P.E.I. ANDREW DAVID NOBLE , graduate of Commercial airlines 2008. In the Yard of Glenn Royce Marney. David Russel Pedersen is from Green Hill, NS Pictou County. e.  Heather Dawn Marney born March 29th, 1960. no children. 7. Hazen L. (b. 1932) married Rita winters from Nova Scotia, who had two children, Margie and Garnet Winters, from a previous marriage. Hazen and Rita lived in Ontario for a number of years, moving to Nova Scotia in the 70's where they owned and operated a restaurant in Hantsport, N.S. Hazen now works fro a paper mill. Was born in Queensbury. His forefathers can be traced back to the United Empire Loyalists. In 1884 or 1885, hebought from J. Rogers part of land originally granted to Gimarin Chapman on the northeast side of The Vale on the Vale Road about 12.5 miles from the Nackawic bridge. Rogers had bought the land about 1876 and built the house and barns, and J.K. Pinder, who was the justice of the peace, magistrate, and Labor Act commissioner at the time, prepared Levi's papers. Later A. Kearney bought the land, and now Marloe Fox ownes it. 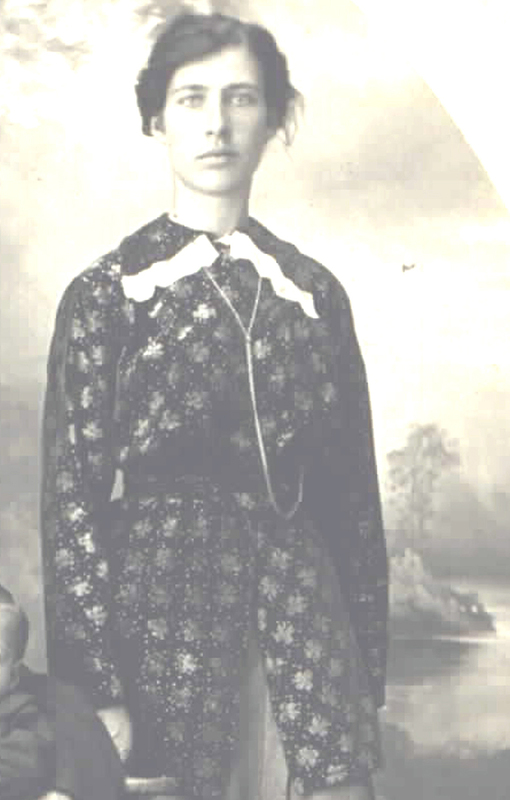 Levis married Henrietta Thornton (1849-1991), THE WIDOW OF rUBIN STAIRS. HENRIETTA HAD ONE SON BY RUBIN: WINT. WINT MARRIED MAYVILLE RAE OF DUMFRIES, New Brunswick, Canada. THEY HAD NO CHILDREN AND LIVED IN OLDTOWN, MAINE, ALL THEIR MARRIED LIFE. AFTER WINT DIED IN THE EARLY 60'S Mayville came back to Dumfries and lived with her brother, Allen Rae. Oscar (1876 - 1931), never married. * My Grandfather Frederick Lee Mooers Brothers and Sisters.